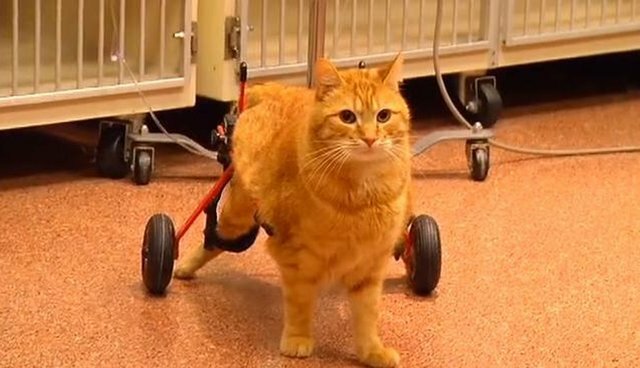 Forest is no ordinary cat: he's got two wheels, a big attitude and he's been waiting for his forever home for 3 years. This gorgeous ginger arrived at All Valley Animal in Boise, Idaho, when he was just a kitten. 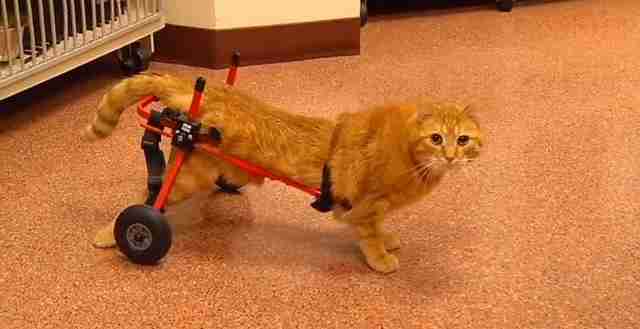 Forest's rescuers realized that his little back legs didn't work, so they outfitted him with some awesome wheels. Now he can run and play and show off his fun personality. 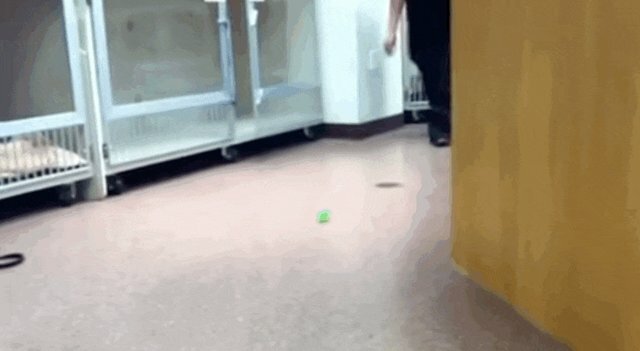 Forest is now 3, and he's become a beloved fixture at the All Valley Animal Clinic. His caregivers haven't given up hope that the right forever family will come along and give him the chance to live in a home. In addition to his wheels, Forest has some neurological differences, All Valley wrote on their website, but it's clear that this little guy has a lot of love to give. "He is a most unusual, intelligent and entertaining clinic resident!" the shelter wrote. Forest has never known what it's like to have a family, but that doesn't mean the right people won't come along someday to scoop this little lovebug up. You can check out his profile here, and who knows, he may just wheel his way into your heart.